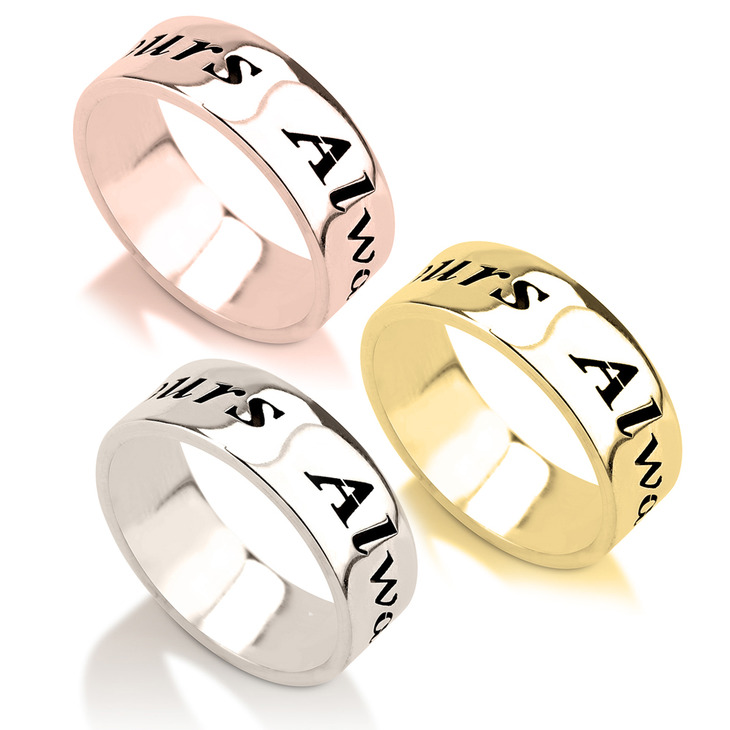 Personalize your Handwriting Name Ring with a meaningful message, for an exquisite and timeless look you'll fall in love with. Select any name or word of your choosing, to custom engrave on a band forged from durable sterling silver with a flawless finish, for a look that will last a lifetime. 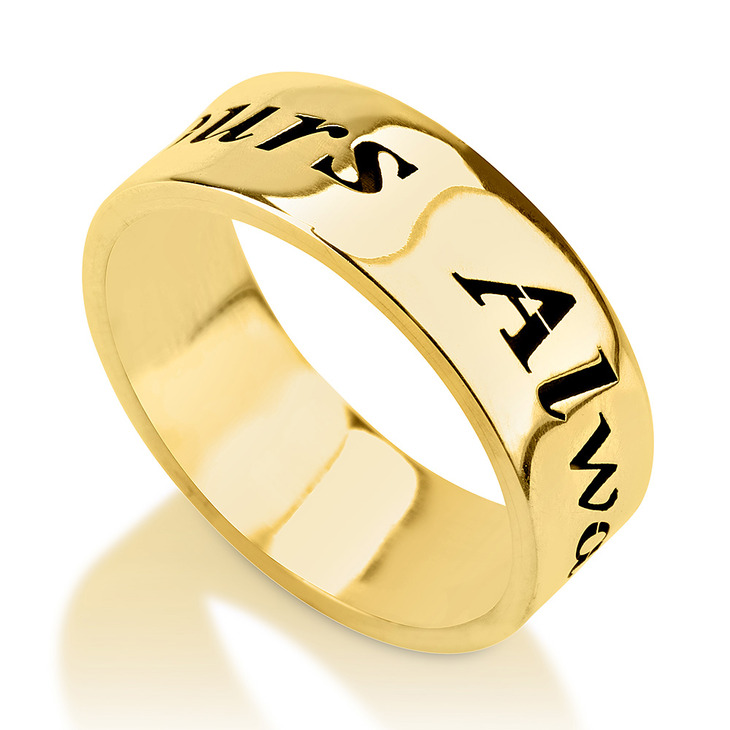 Also available to plate in 24K gold or rose gold, this elegant ring makes an unforgettable and thoughtful gift idea, a handwritten ring perfect for that special someone in your life. Order yours now, for a piece you will cherish always. I bought this ring for Christmas for my husband. Instead of a name, I had "Vegan" engraved on the outside and "Loving Kindness" on the inside--messages that mean much to us. oNecklace was able to make it in 18 K white gold, which I preferred. Delivery is extremely quick. I would highly recommend this company.